Who doesn’t like to try new cuisines at every outing? With globalisation sinking in, Indian food industry has managed to transform premature outlook of people by introducing mouth watering delicacies. 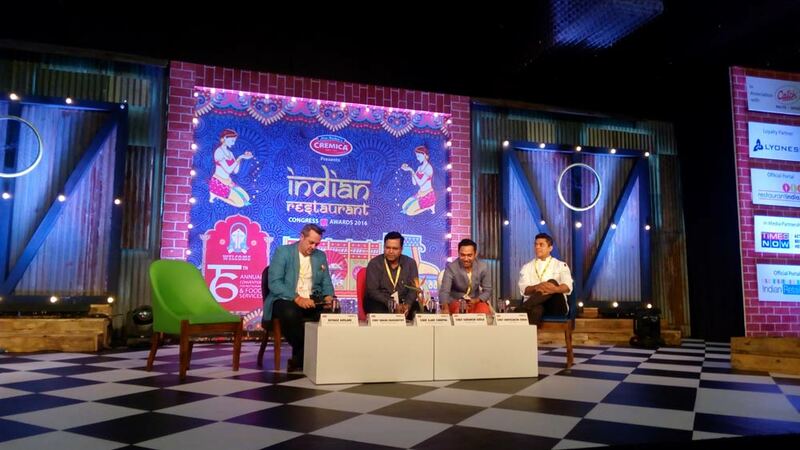 ‘6th Indian Restaurant Congress’, themed ‘#DOTHENEW’ brought some of the Global and National leaders together on one platform, discussing various flavours of the fast growing Indian food businesses. “Eating out and eating in are two varied things, which are not going to meet each other”, shared Riyaaz Amlani, Conference Chairperson and President NRAI, who also owns some of the most quirkiest concepts like Smoke House Deli and Social. Apart from debating on menu trends and eating habits at the congress, Leaders like Niren Chaudhary, President, KFC also shared some unique techniques to build a successful brands in India. “Gateway innovation is very unique to India. We stuck an edge that each KFC outlet would have at least one female manager,” added Chaudhary. Sharing his views on the food safety scenario, Guest of Honour, Shri Pawan Agarwal, CEO, FSSAI spoke about the urgent need of food safety in Indian food business. “Restaurant industry is a very important part of overall food industry. Our focus is not on the organised players, rather it is on the unorganised market, which is scattered.” added Agarwal, who is planning to introduce some regulatory steps related to food in schools. The conference which took place on August 29 and 30, 2016 at JW Marriott Aerocity, New Delhi, witnessed a night of recognition and accolades on the eve of August 30. Attended by more than 500+ restaurateurs and 100+ restaurant industry leaders and chefs, the two day conference shared some of the untold techniques and stories of the food service industry. Why catering sector wants govt intervention?..